NOTHING LIKE SINGING HOLIDAY SONGS!...You’re always welcome in the choir, and it’s always enjoyable, but Advent and Christmas are special, and especially good, times! How’d you like to join the choir for these seasons? Or even just for Christmas Eve?! We’ll be rehearsing at 9:30 every Sunday morning, and working ahead, and probably adding a short extra rehearsal after the Sunday morning services late in December. If you’d like to join in, just show up for any of these. If you’ve got questions or need reassurance, feel free to be in touch with Mark Oldenburg at moldenburg@uls.edu! WELCOME CARRIE TRAX! Carrie is serving as our interim choir director this fall. 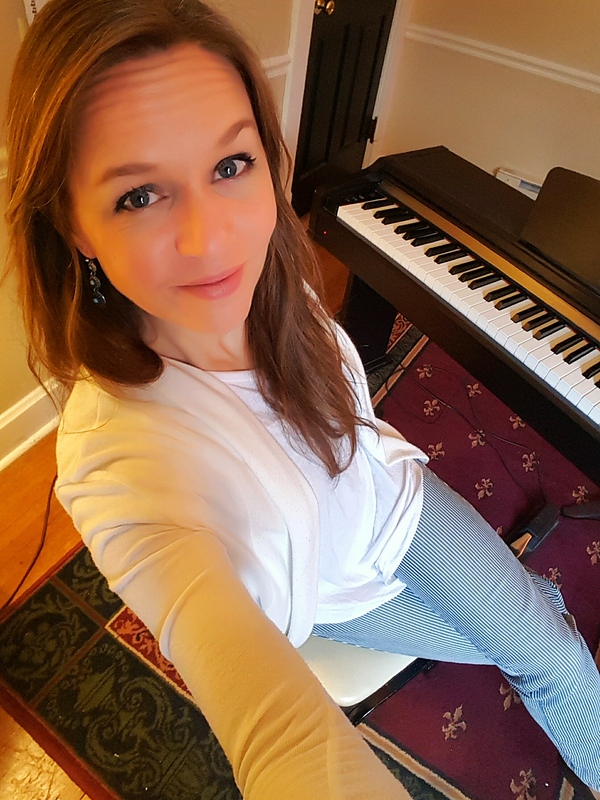 She will be rehearsing with the chancel choir on Sunday mornings from 9:30-10:30 a.m. She is an elementary music teacher and choral director as well as teaching private voice and piano lessons. She was the assistant band director at Gettysburg High School for five years. She has a bachelor’s degree from Michigan State University in vocal music education. She has a master’s degree in Music Education from Lebanon Valley College. She earned her Level 3 certification form the CCM Vocal Pedagogy Institute of Shenandoah Conservatory where she studied somatic voicework. Please welcome Carrie to Christ Lutheran Church. Of the Lands and Seasons Band...Four times a year, at both Sunday morning services, instrumentalists are welcome to accompany and lead “Of the Land and Seasons,” our folk-song based liturgy used once each season of the year: winter, spring, summer and fall. All instrumentalists are welcome. Advanced beginners and up are welcome. Please contact the church office at 717-334-5212 or churchoffice@christgettysburg.org.